Más información Welcome to ROMASTOR, the inventor of the unique and original, 360 degree full and continuous Rotating Forks. ROMASTOR moves pallets and materials in all directions. Since the fork carriage can be rotated 90 degrees sideways, moving long objects becomes child's play, even in a limited space. Suitable for all makes and brands, fixed as well as rotating telehandlers, also for your MANITOU MRT! The rotating fork carriage ROMASTOR is an attachment with important added value for your telehandler. It significantly increases efficiency and flexibility, while shortening work time and reducing fuel costs! •	20% reduction in fuel costs! •	30% reduction in work time! •	50% reduction in operating space compared with a standard fork carriage! •	Affordable – quick return on investment thanks to broad savings in time and consumption! ROMASTOR is also available in various widths and with hydraulic fork spreaders. This allows you to safely and quickly adjust the width of the forks without leaving your comfortable seat in the cab! 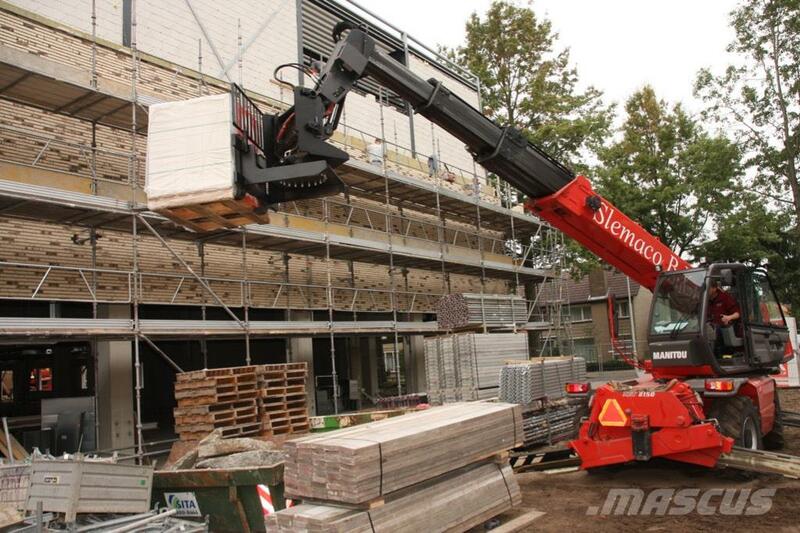 ROMASTOR is patented, CE-certified, TÜV type approved, homologated in combination with MANITOU telescopic handlers and comes with a declaration of conformity in accordance Annex 2 of the Machinery Directive (98/37/EC), user manual, test certificate, lifting capacity chart and 2-year limited manufacturer's warranty. R & R Verkoop en Productontwikkeling B.V.